This week at church, we had a "Mission". The visiting priest is Polish, and he knew Pope John Paul II. 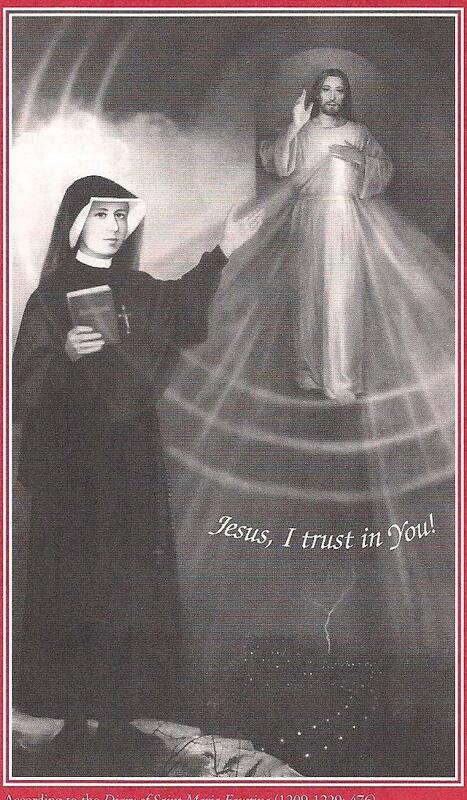 Pope JPII canonized St. Maria Faustina Kowalska, who was also Polish. St. Faustina was one of 10 children, and only had a 3rd grade education. When she was 20, she entered the Congregation of the Sisters of our Lady of Mercy; sisters who dedicate their lives to working with troubled young women. Since she wasn't educated, she was assigned to household tasks. She had visits from Jesus and Mary, and visited Purgatory. Her spiritual director encouraged her to write a diary, which was difficult for her due to her limited education. In 1958, Pope John XXIII condemned the Divine Mercy, reasoning that the diary was misinterpreted because of misspellings and punctuation mistakes. Pope John Paul II, when he was the archbishop of Cracow, opened up the investigation into Sister Faustina's life and again allowed devotion to the Divine Mercy. She became a saint on April 30, 2000. So, why do we use pictures? Father Simon said it perfectly: We're human. We have to have something visible. It's a reminder. We don't pray to the picture, we use the picture to focus on our prayers. I had heard of the Divine Mercy, but wasn't real sure what it was about. This week was wonderful. It happened at a time when I needed it. And, it's a wonderful way to start the day. 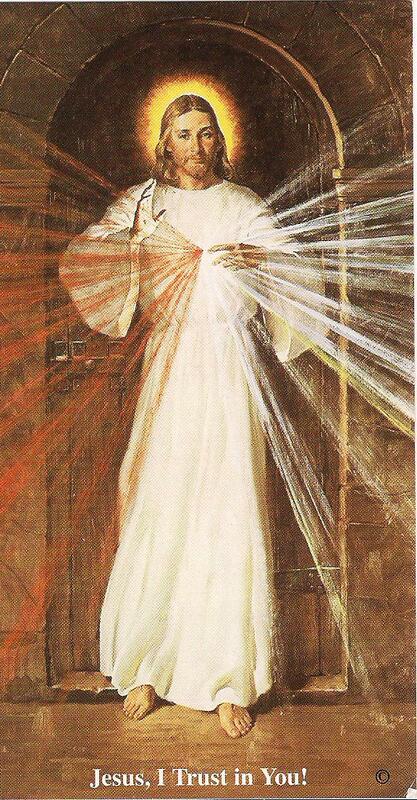 The Chaplet of Divine Mercy is my favorite prayer. I was introduced to it when my father was dying. It is a beautiful story that you shared. I love your Friday educational posts, Mary. It's so good to see you back here. I miss you when you are gone. Have a wonderful weekend, my friend! I've always wanted to learn more about the Saints! I am loving these educational posts. I have learned a lot. Sorry for the quick turn around. We will be back in Knoxville soon. Have you heard it sung? Beautiful! I love the hope the chaplet instills.